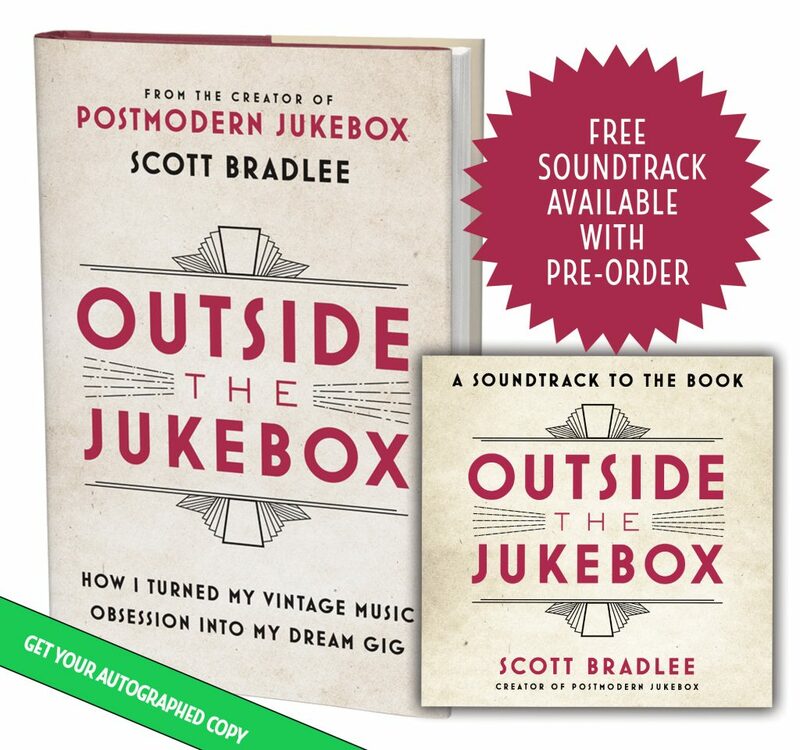 Blog Outside The Jukebox – Pre-Order Now! As you may know, Postmodern Jukebox started in a small apartment in Queen, NY seven years ago, and completely changed my life as a (formerly broke) musician. 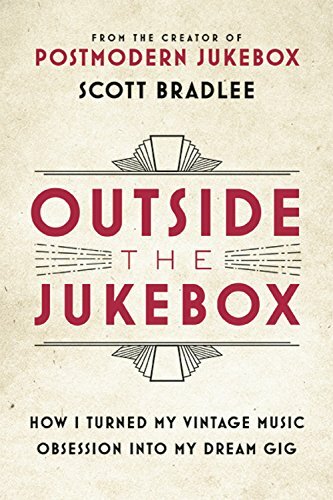 For the last two years, I’ve been pouring my heart into writing down this story, and I’m excited to personally share with you the official launch of my book, “Outside the Jukebox: How I Turned My Vintage Music Obsession into My Dream Gig,” which will be published by Hachette Books on June 12. The book tells my story (and that of Postmodern Jukebox) with as much honesty as possible – discussing both the happy moments (when we first went viral! When we played Radio City!) and the not-so-happy moments (When the whole project nearly collapsed!). For those of you who have been with us along this journey, you’ll get to hear never-before-told stories and learn more about the talented and often hilarious people that helped me on this journey. For those of you that are completely new to PMJ, you’ll get to learn how I went from being unemployed with $100,000 in student loan debt, to leading a musical collective that has played thousands of shows across six continents and racked up a billion views on YouTube — all while staying completely independent. It’s my hope that this book will both entertain and inspire you, by showing just what is possible when you combine your passion and creativity with some very talented friends…and an internet connection. 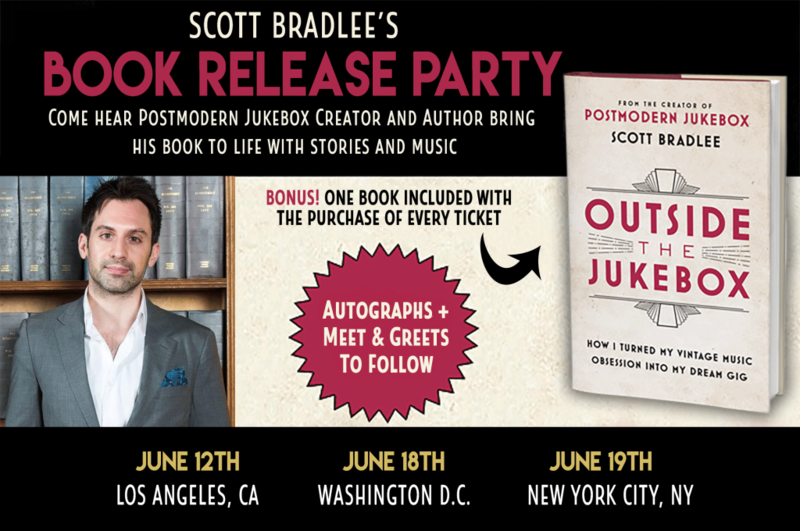 JOIN SCOTT AT A LIVE BOOK RELEASE PARTY! BUY THE BOOK… GET THE SOUNDTRACK FREE! 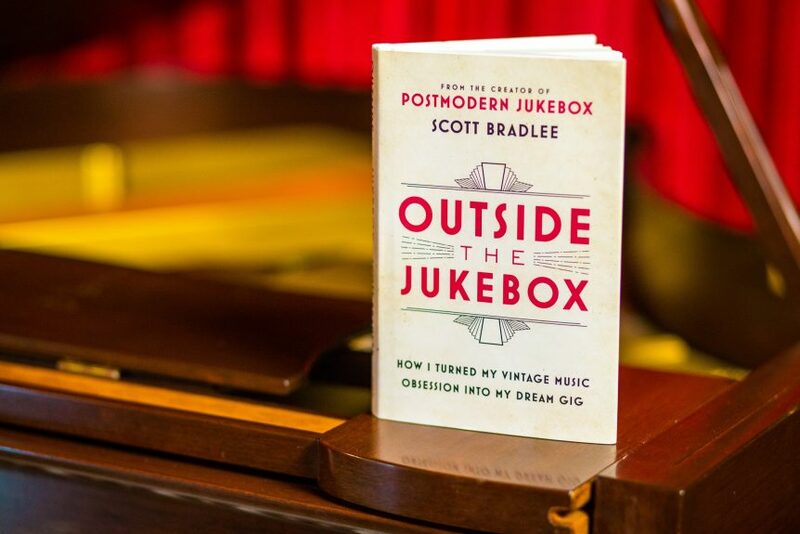 Outside the Jukebox Soundtrack is a song-by-song summary of the history of PMJ, so you’ll be able to take a musical stroll down memory lane while you wait for the book to arrive. 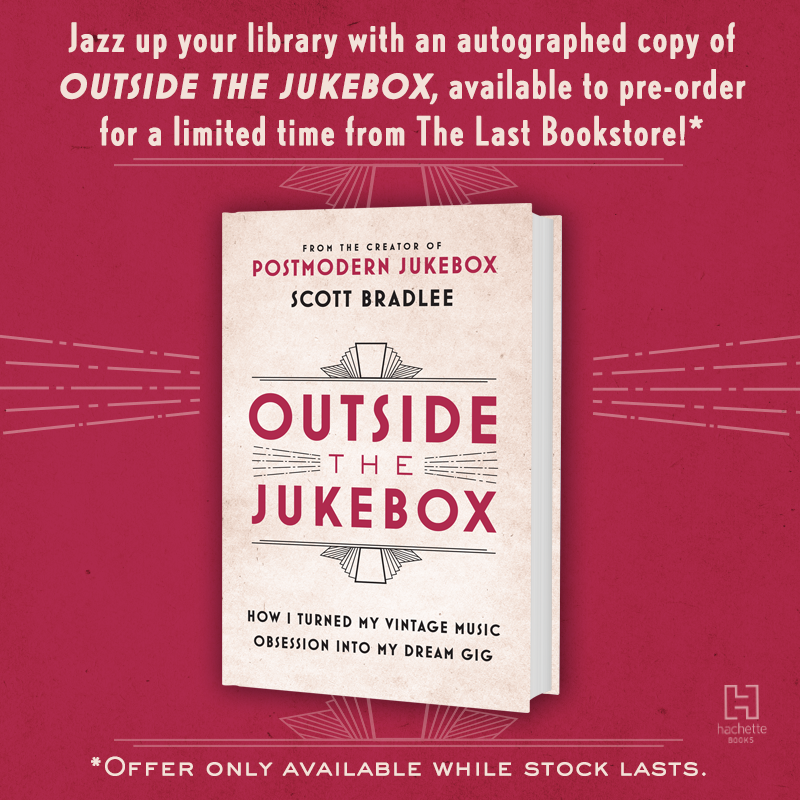 The ten-track free compilation features some of the key musical moments from Postmodern Jukebox history as recalled in Scott’s memoir! (Digital download only; offer available until 12:00am 6/12/18).